I have never been much of a stretcher. I like to get in and get out...I know, I know that is no good. Even when I am teaching fitness classes and am forced to build in a warm-up and cool down I usually get my clients going and then walk around to correct alignment and provide visual cues. It actually is rather sad how I avoid stretching, flexibility is so important! As I have noticed my body feeling tighter from weight training, I have really been trying to FORCE myself to stretch. I set up my yoga mat, turn on some relaxing music and just try and breathe my way through each move. I have always wanted to achieve that long and lean look and stretching is the best way to do it, so as with everything else I am not a real fan of, I make it a challenge! Despite stretching helping achieve overall flexibility and reducing the risk of activity-based injuries, it can also help your athletic performance. I swear when I take the few minutes to stretch after a hard kick boxing class, my kicks are twice as high the next day! Furthermore, stretching allows the muscles to properly cool down following a work out which can also decrease delayed onset muscle soreness (you know, like when you wake up the next morning after a work out and can't walk). 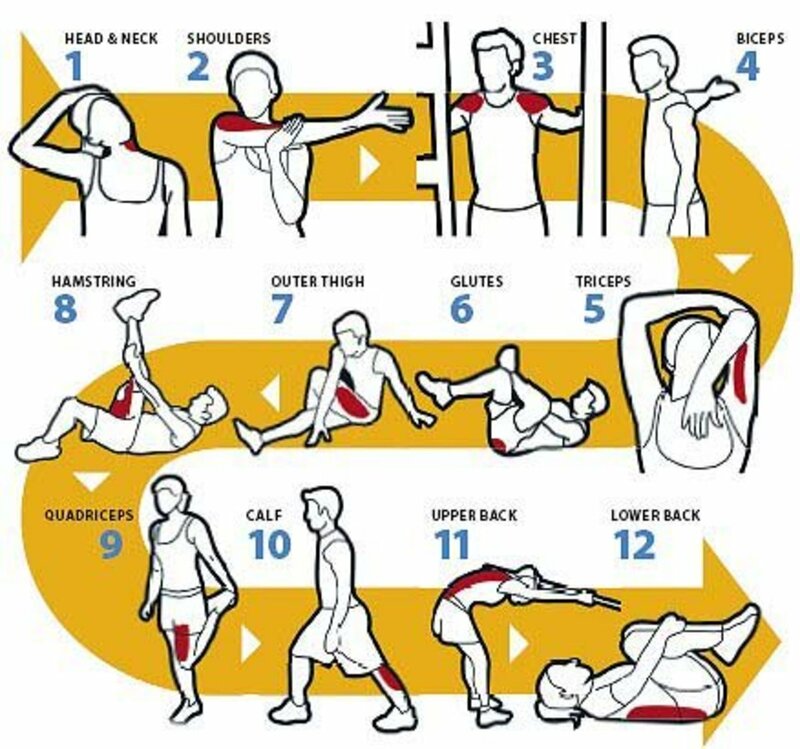 Here are some easy stretches to try to add to your daily routine. My latest goal is to try and stretch at some point each day. As much as I would love to stretch each morning when I wake up, I can barely get out the door on time as it is. So, for me, I think before bed is the way to go. I am going to try to work in these 12 moves each night to give myself a total body stretch. Do you incorporate stretching into your daily routine? Before/after workouts? What are your favorite moves?